I believe I purchased my tire plug kit from Adventure Motostuff last year or the year before. I have used it 4 times with excellent results. Some riders like “mushroom” style plugs, and some riders like using the “worm” or “corded” style plug. Whichever style a rider leans towards, I encourage purchasing a kit and carrying it with you! I carry a package of both types of plugs; “mushroom”, and “worm” style. 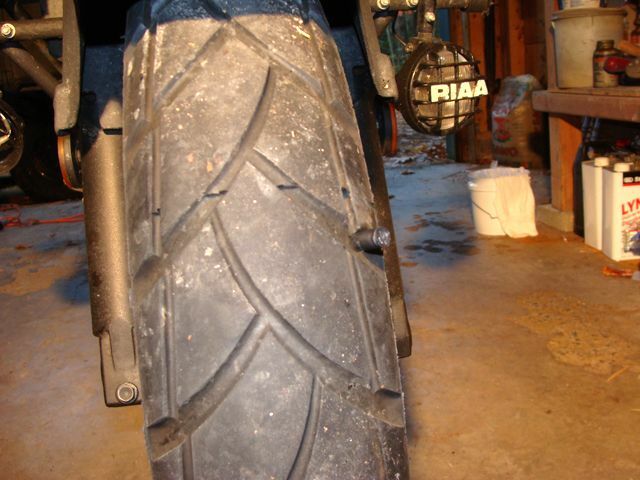 Last Fall, while walking through my garage, I noticed something funny about my front tire. My guess is, this was what was left of a furniture leg “bumper”. It’s just that all of the rubber had worn off and what was left was, the nail and its backing plate. After removing the culprit, I reamed out the hole with the kit supplied reaming tool. Then, (as per kit included instructions), I used the Tool Tip to insert a mushroom plug into the Tool Handle. 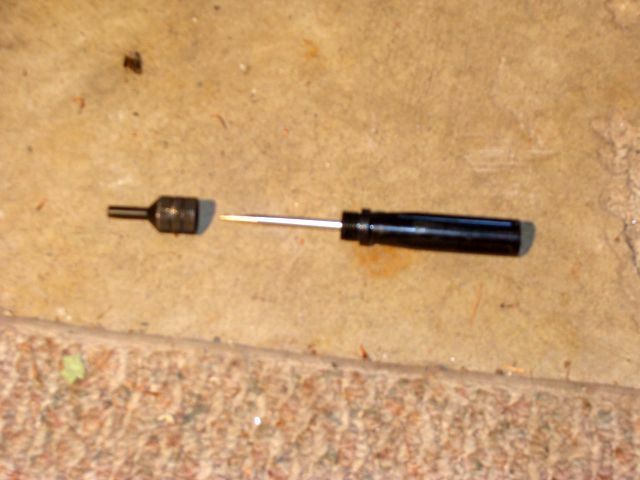 Using the kit supplied awl, I inserted the awl through the Tool Tip. Then I installed the Tool Tip into the tire; the awl acting as a guide to push the Tool Tip into the tire. 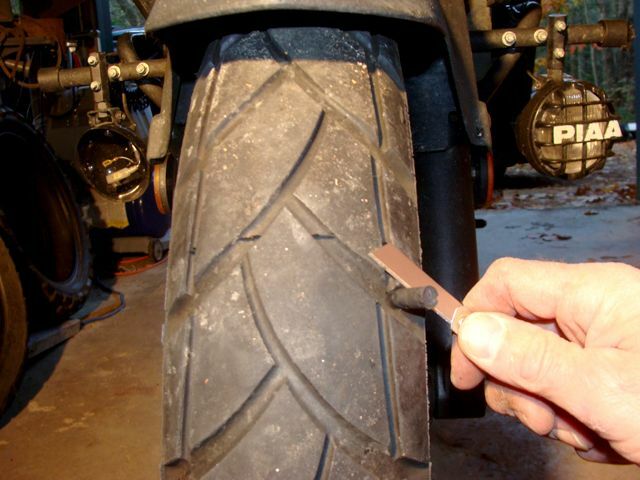 Then I removed the awl and left the tip “embedded” in the tire. Next, I threaded the Tool Handle, (that has a mushroom plug loaded into it), into the Tool Tip. Once the handle and tip were screwed tight, I used the kit supplied Allen wrench to tighten the hex head screw on the back end of the Tool Handle. I tightened the screw until I couldn’t twist the screw anymore. 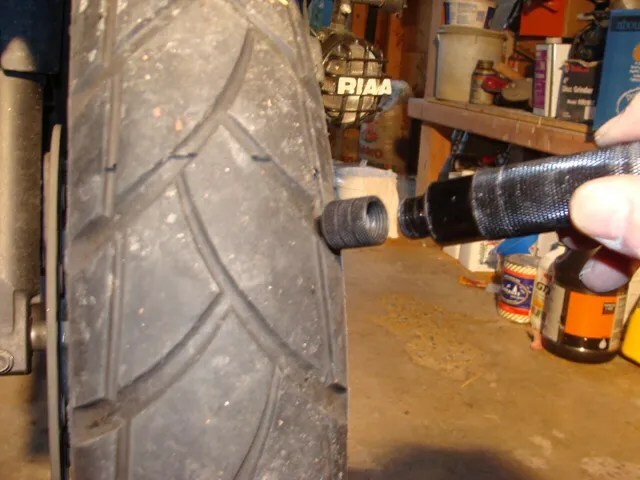 The mushroom plug was now forced, “cap end” first, into the tire. 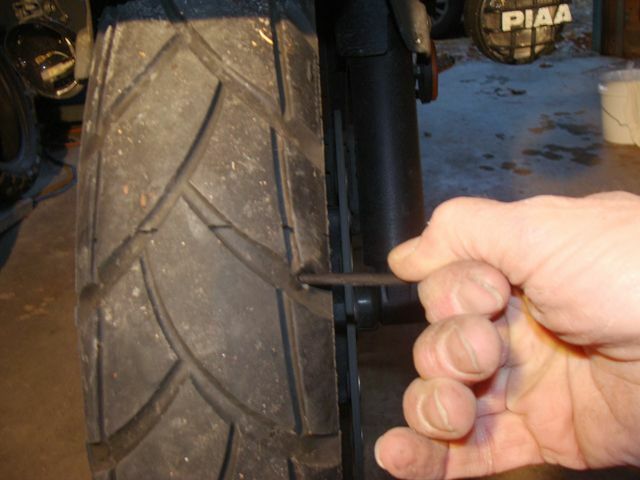 Next, I backed the Allen screw out and slowly pulled the Tool Handle and Tool Tip out of the tire. Here, you can see the plug shaft. I believe this is where individuals who have tried this system, (or type of plug), and have had it fail, have made a mistake. It’s at this point that they cut the excess plug off. DON’T!!!! 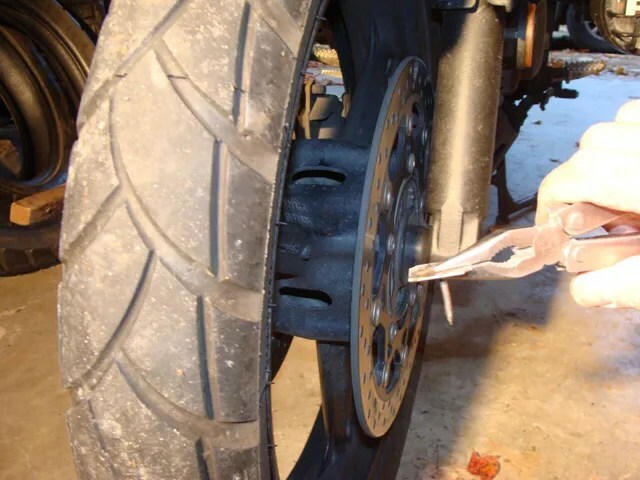 For the mushroom head to seal the leak properly, the underside of its head needs to be up against the inside surface of the tire carcass. That is accomplished by pulling on the “shaft” end of the plug. And I mean PULL! As I do this, I can feel and see, the plug shaft stretch and also slide. 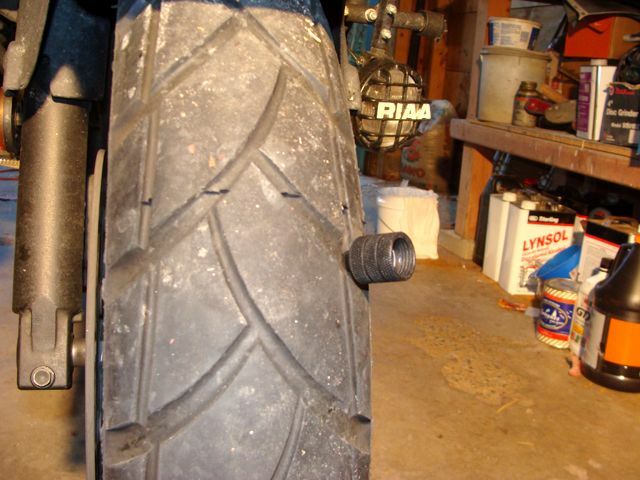 I can also feel the head of the plug pull up against the inside of the tire. An increased resistance will occurs. 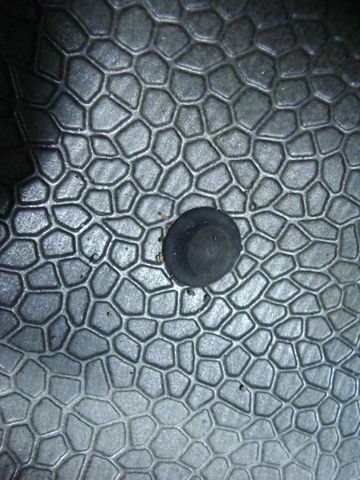 This is what a properly seated mushroom plug looks like from the inside of the tire. Now, I let the plug “relax” a little. 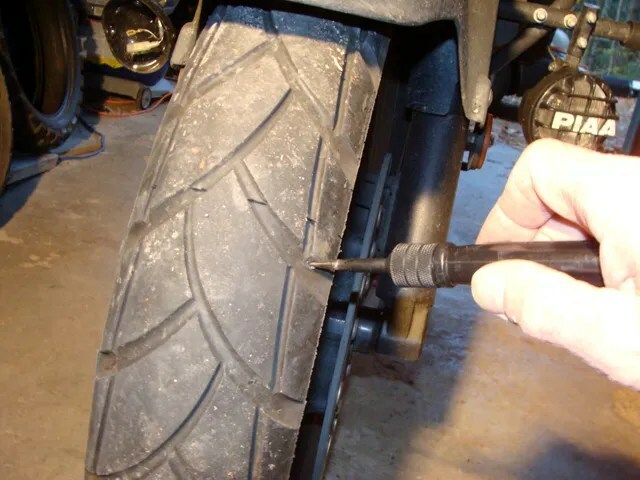 Do to the elasticity of the rubber compound, that the plug is made out of, the shaft will want to pull back into the tire some. It’s at this point that the plug should be cut, (Using the kit supplied razor knife.). 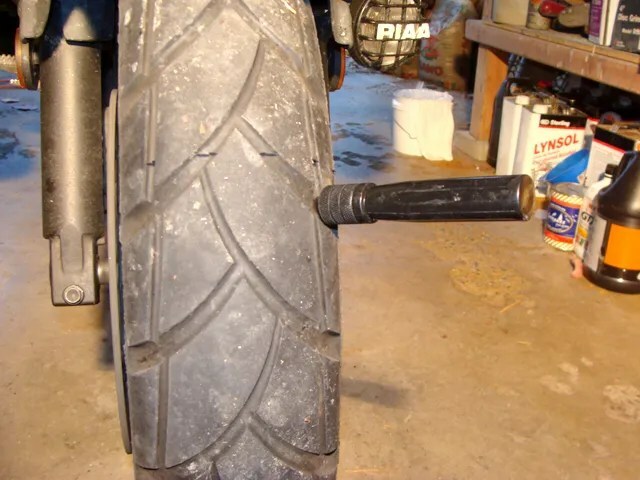 I intentionally leave the plug cut long because, I know that there will be some more “pull back” to the plug shaft as I ride. 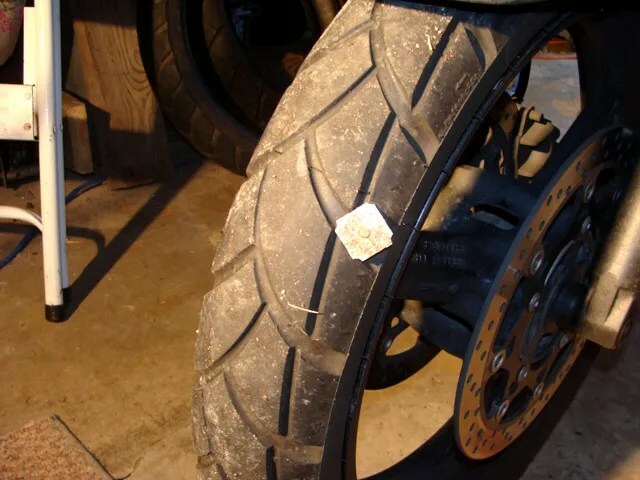 After the tire was “patched”, I reinflated it to the desired pressure. I have ridden thousands and thousands of miles on these types of plugs. I have not had any problems, with only one exception. 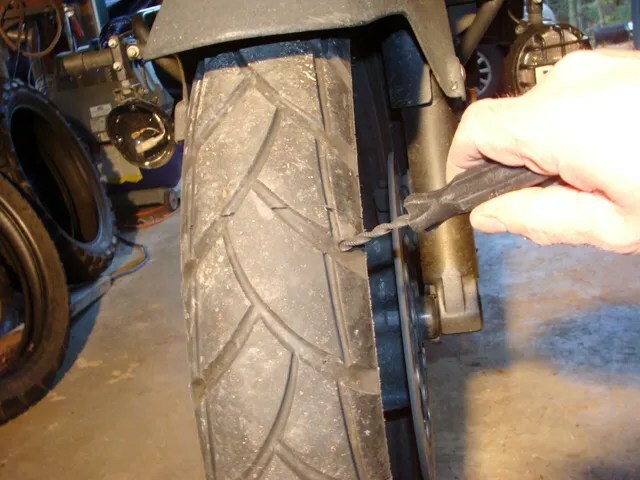 The very first tire that I plugged, I did not pull the shaft of the plug, so that the head seated against the inside of the tire carcass. That plug leaked. I learned that lesson! 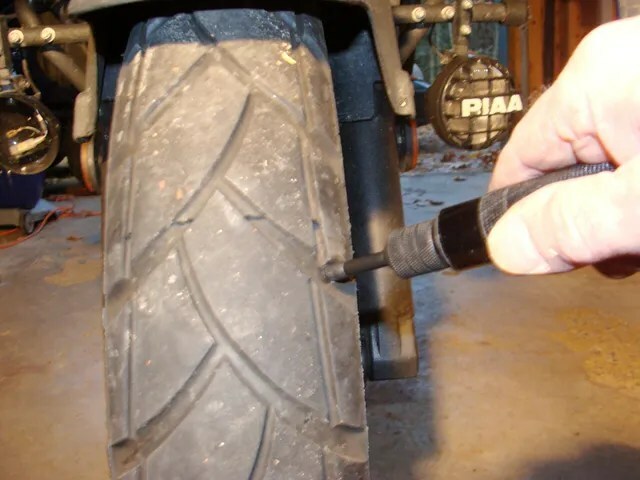 Brilliant, I’ve learned a lot from your tyre plugging description, I carry the same plugger with me and although I’ve read the manufacturers instructions I wasn’t looking forward to using it, now I feel better prepared. Great website by the way. Thanks, Dave. Very nice read. One quick question though, does one need to push the plug inside the barrel or just leave the plug hanging out by the head of the barrel? I had the head just inside the barrel.